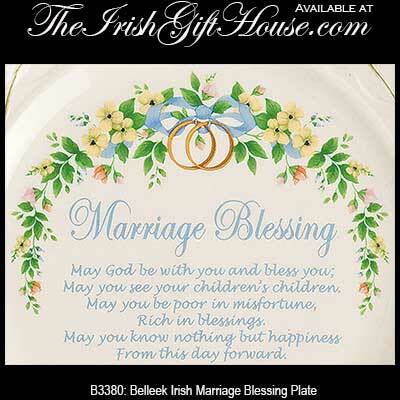 Irish wedding blessings are traditional verses that are featured on plates and plaques. Leave it to the Irish when any occasion calls for a blessing or toast, and if the occasion is an Irish wedding they have at least a couple for the joyful day. 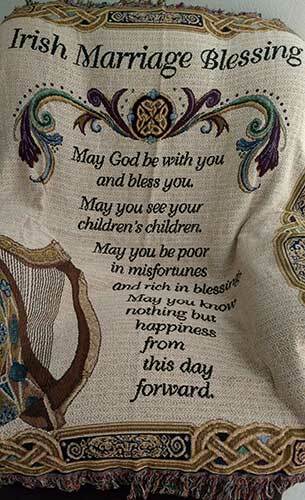 Our Irish wedding blessings may be the perfect Irish wedding gift to give or receive. 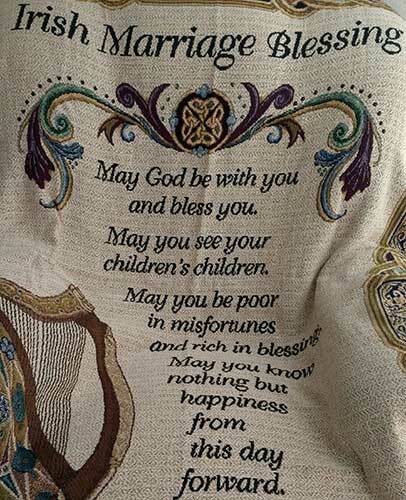 Irish wedding blessing blanket features the traditional marriage blessing along with a Celtic knot-work border and an Irish harp. 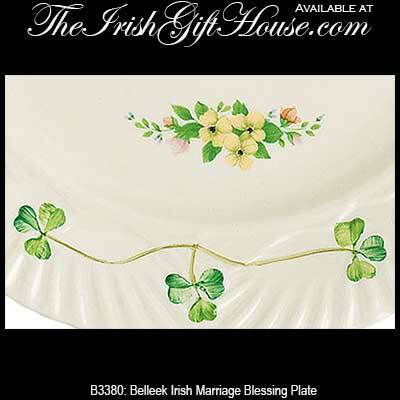 This Irish wedding plate features engravable pewter. 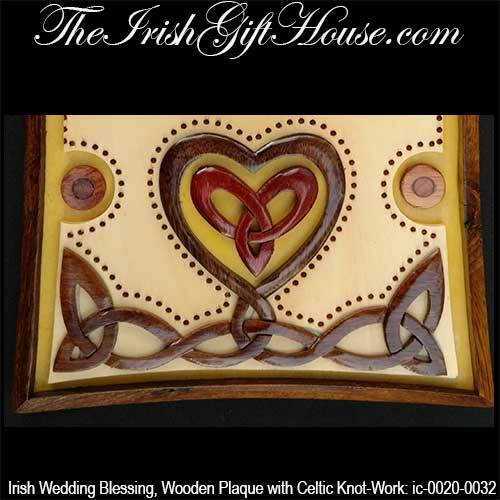 This Irish wedding blessing is featured on multiple layer wooden plaque that is enhanced with Celtic knots. 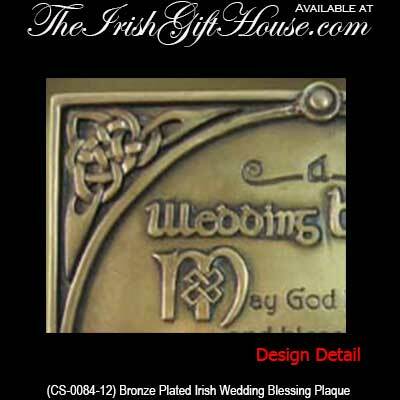 Irish wedding blessing is featured on this bronze plated plaque that is ready to hang on your wall. 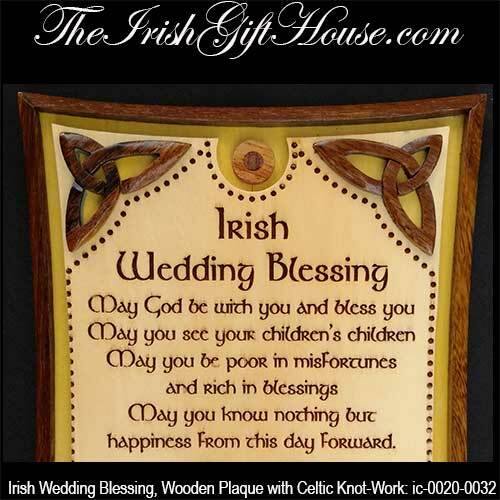 This Irish wedding blessing is printed on a wooden plaque that is enhanced with shamrocks. This Irish marriage blessing Christmas ornament features doves and shamrocks. This Irish marriage blessing Christmas ornament features shamrocks. 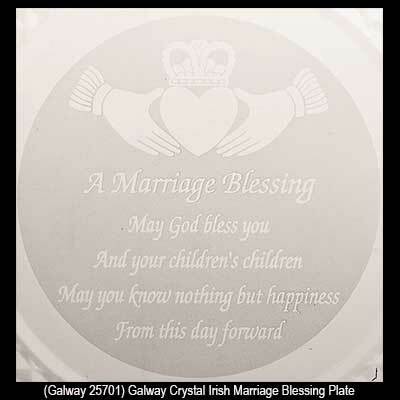 One of our most popular Irish wedding blessing is the bronze finished plaque but the crystal wedding blessing plate from Galway and the china marriage blessing plate from Belleek would also make wonderful Irish wedding gifts.